Samuel Kenny is freight policy officer at sustainable transport group Transport & Environment (T&E). The answer seems obvious yet Volvo, Scania, Daimler, and other truck manufacturers (represented by ACEA) are lobbying for sensors, claiming they will save the 1,000 cyclists and pedestrians killed every year across Europe in truck collisions. In parallel ACEA opposes a standard for direct vision, which would set a legal minimum for the amount of the road drivers see with their own two eyes through the windows of their vehicle. The safety of new vehicles in the EU is governed by the General Safety Regulation (GSR). A revision was proposed in mid-May by the European Commission, and the file is currently being debated by MEPs and member states. Improving direct vision requires changes to production lines (principally to re-shape the cab). Installing a sensor is, by comparison, very quick and easy. And, seeking to attract some credibility to this easy route, ACEA funded a study to say what it wanted to hear. ACEA has a tradition of cherry picking data (see, for example, their work on fuel efficiency) but this study takes things to another level. The study omits details (like how accurately drivers are expected to react to sensors), uses accident data that dilutes the benefits of direct vision, and selects vehicles that suit ACEA’s lobbying messages. The effectiveness of direct vision was assessed based on only 26 cases, 12 of them relating to smaller N2 vehicles (which weigh below 12 tonnes and are less likely to suffer blindspot problems). ACEA also fails to address some basic questions: wouldn’t a sensor sound constantly in cities and thus make it ineffective? How can drivers be expected to react sensibly to a sensor if they can’t see what’s triggering it? And, given that these sensors switch off if there’s rain or mud on them, how can they be trusted? All of which brings us back to direct vision. Drivers react 0.7 seconds faster if they can see something directly as opposed to when they are made aware of it indirectly. This improved reaction time with direct vision reduces stopping distances by five metres for a truck traveling at 25 km/h. That’s the difference between life and death. Cities, safety campaigners, and cyclists support the creation of direct vision requirements for trucks sold in the EU. Some trucks sold today are designed so drivers cannot directly see within 2 metres of their vehicle. The Commission found that improving the direct vision performance of trucks would save up to 550 lives per year. In trials, truck drivers have expressed how they feel less stressed driving around cities when they can see more of what’s happening on the ground. 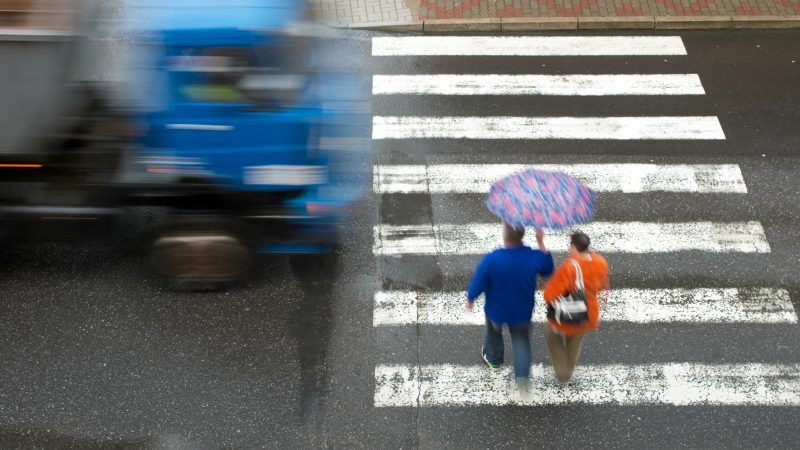 Similarly, surveys with cyclists and pedestrians show that they feel safer when they can make eye contact with truck drivers, which direct vision enables. It is vital if we want to encourage more cycling and walking across Europe. Sensors have a role to play, particularly for the areas around a truck where the driver cannot see directly. But, contrary to ACEA’s framing, it’s not an either/or situation. Both are vital – not one or the other. In addition, automatic emergency braking should be legally required on all trucks so that the vehicle brakes in cases where the driver fails to look or react to sensors – and this will save lives, particularly of cyclists next to a truck trailer who have gone undetected by the eyes, or via the mirrors, of a turning driver. Trucks account for 2% of vehicles on the road but they represent 15% of road fatalities. Weakening the draft GSR reform is not in the interest of the EU automotive industry. It is short sighted of ACEA (no pun intended) as there’s clear value in redesigning trucks so that the driver can see more of the road around them. No single measure will save all 1,000 cyclists and pedestrians killed in truck collisions each year. But direct vision, emergency braking, and sensors would be a very powerful combination that would make Europe’s cities much safer for cycling. Trying to set up these enhancements as rival options is a false dichotomy designed only to put profit and convenience before the lives of pedestrians and cyclists. Volvo, Scania, Mercedes, and ACEA’s other members know this – and should know better. 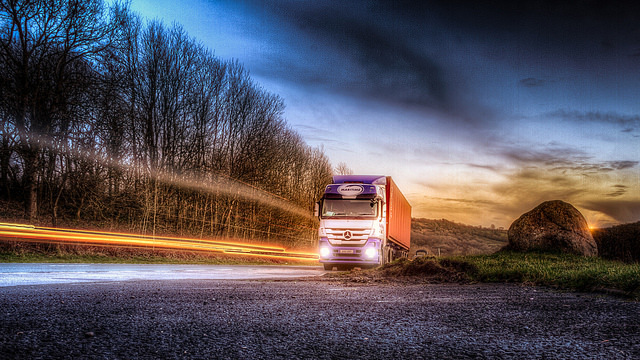 The European Parliament approved new rules on Tuesday (10 March) allowing manufacturers to build larger and more aerodynamic trucks that supporters say will improve road safety and reduce polluting emissions. First of all don’t presume that 15% of all road fatalities are caused by trucks and truck drivers, they may be involved in 15% of all fatalities but that doesn’t mean that they actually caused the event that led to the fatality. Ask any truck driver and the stupidity of other road users especially cyclists and pedestrians who are the most vulnerable knows no bounds. Secondly there is nothing more annoying when driving a truck to continually having warning buzzers or bells persistently sounding. In my experience of driving in city centres this would be a continual and perpetual annoyance which sooner or later will quite possibly lead to the removal, destruction or at the very least sound proofing such audible devices to maintain sanity. Direct visual contact is obviously the way to go followed by indirect visual contact using mirrors or cameras but please, no reliance on a myriad of sensors and warning buzzers in place of.